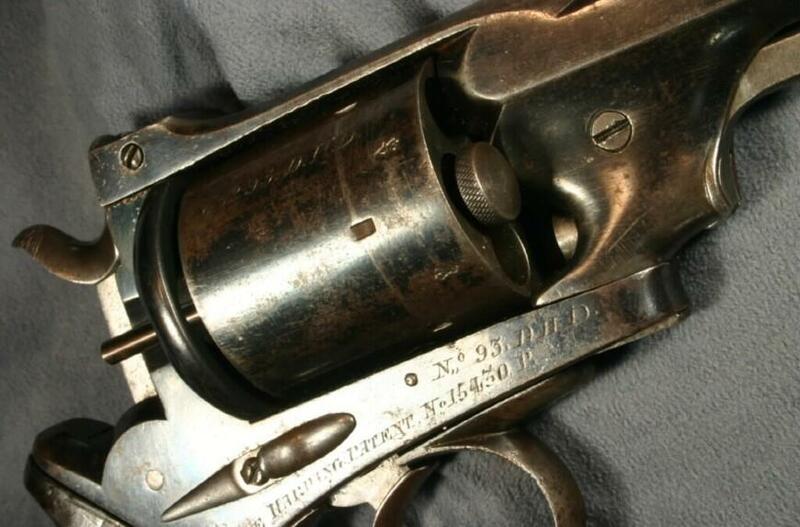 Circa 1863: Robert Adams was shop manager for George and John Deane of 30 King William St., London Bridge, and designed the revolver came to be known as the Deane Adams Deane model. 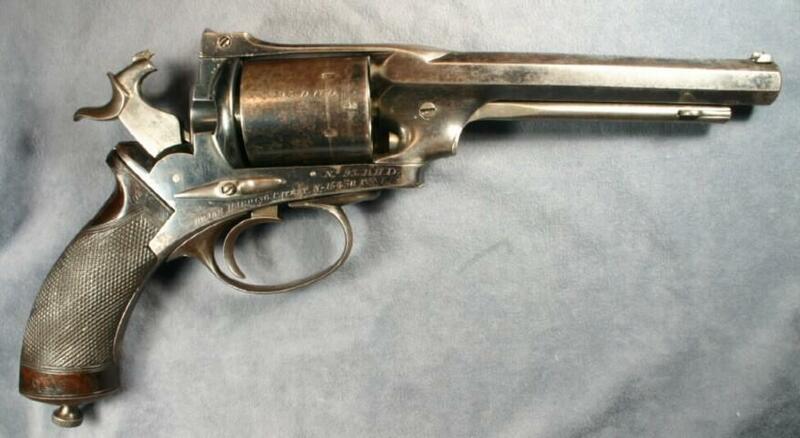 Adams split with the Deane firm in 1856 and went on Frederick Beaumont to design a new model that could be operated in both single and double action. 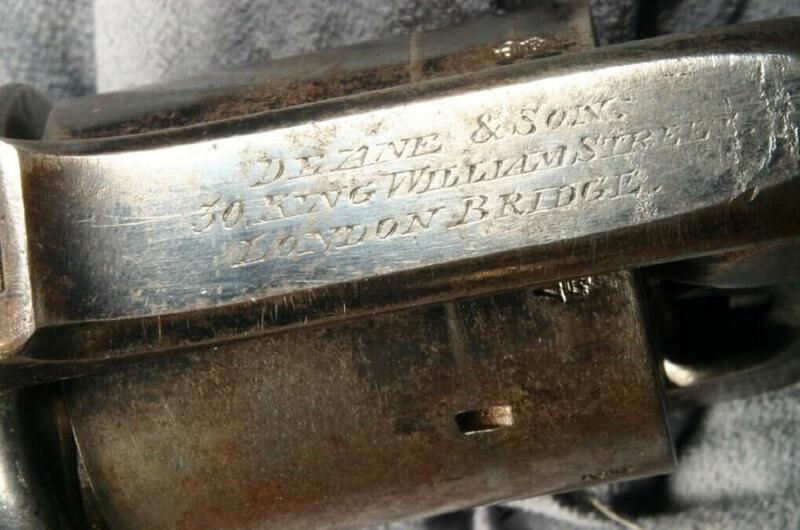 The Deane firm remained at 30 King William St. and became "Dean and son". 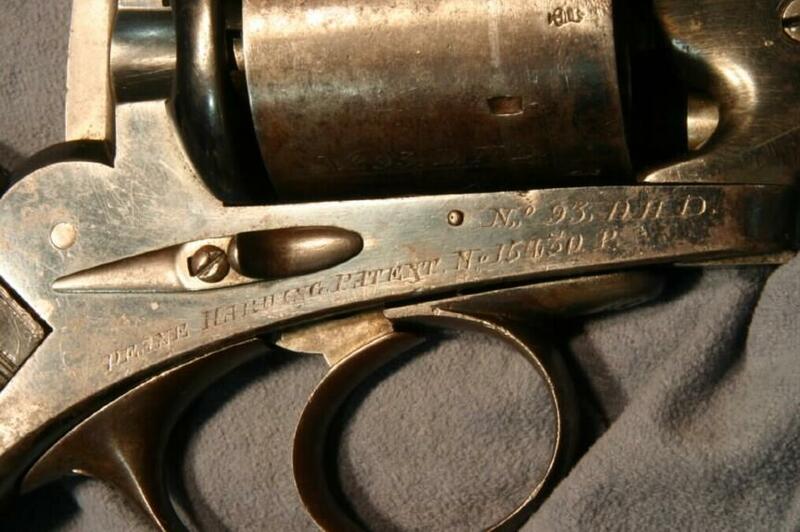 William Harding was their chief designer. 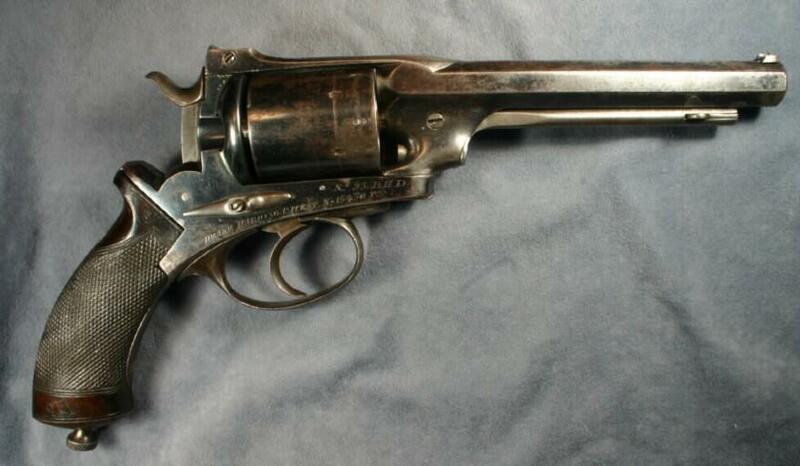 Together Harding and the Deanes also patented a design for a percussion revolver that could function in both single and double action modes. 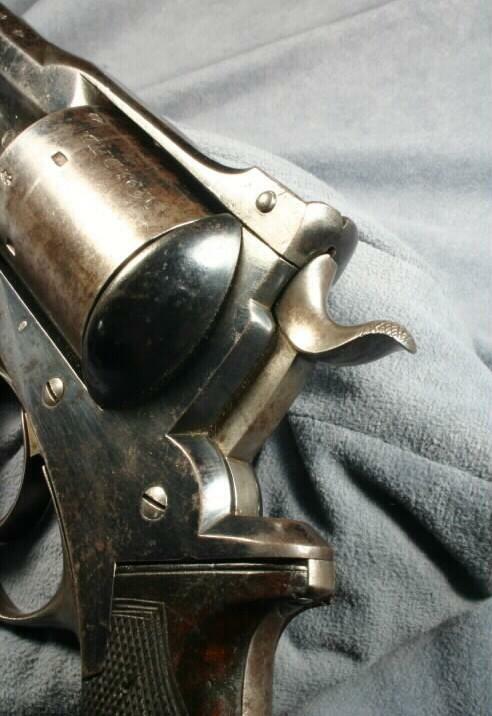 Subsequently, Deane and Harding patented and produced cartridge-firing revolvers. 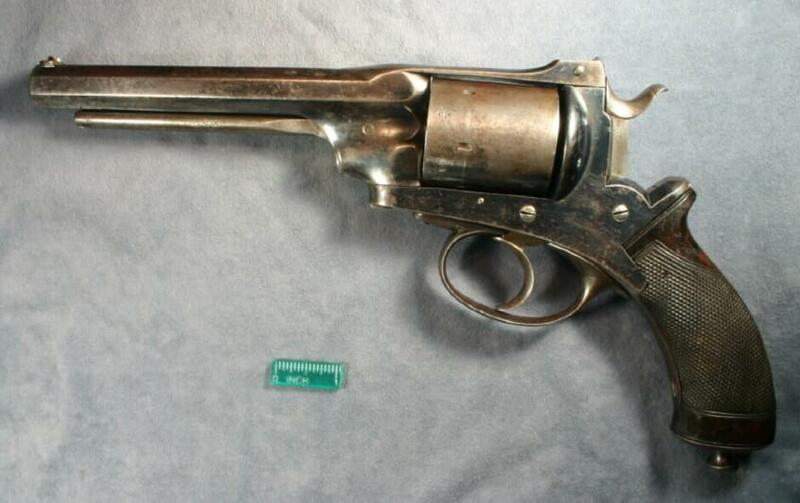 This gun however, is a rare transitional model in .44 calibre. 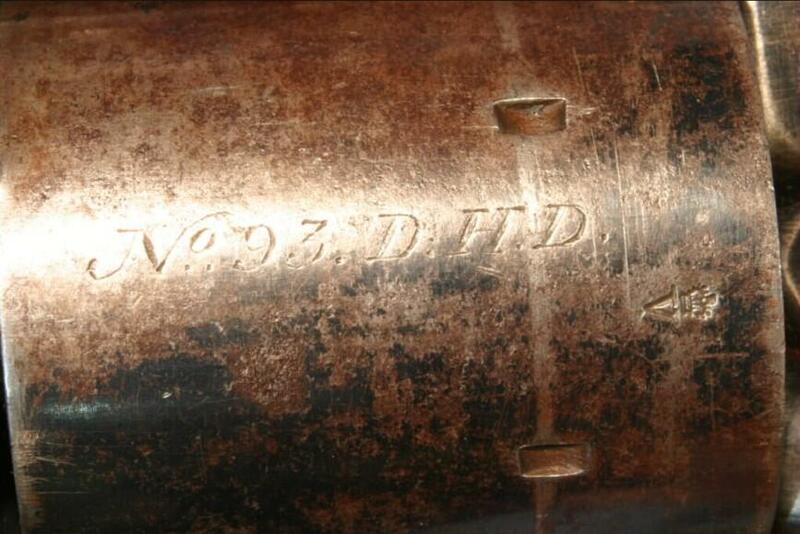 It was originally supplied with two cylinders, a percussion cylinder, and one for cartridges. 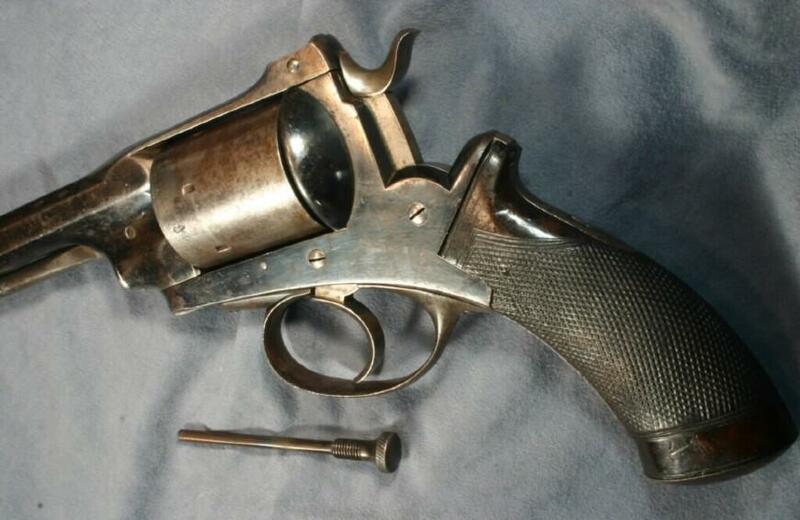 The hammer is designed so it could discharge either rim-fire cartridges or caps, and the gun retains a loading lever, typical of cap and ball revolvers. 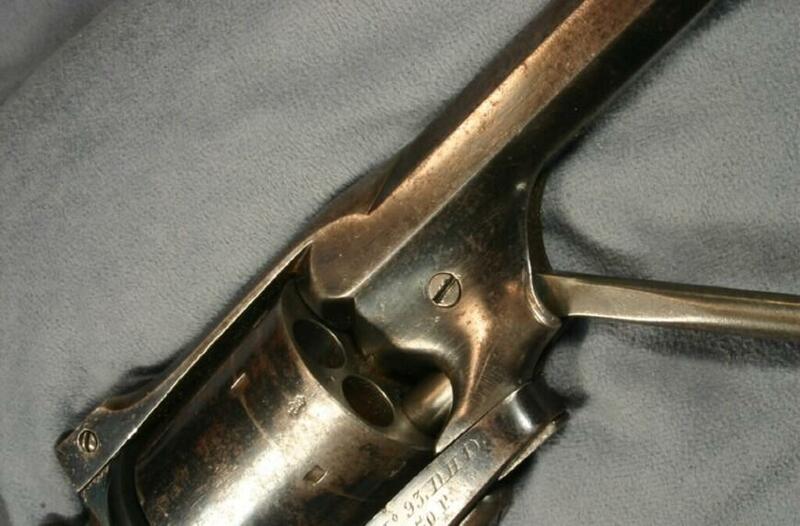 Later Deane and Harding cartridge revolvers have loading gates and side mounted ejector rods, typical of other guns of the period, however, with the conversion system on this gun, cartridges would be loaded through a channel in a back plate designed to go with the cartridge cylinder. 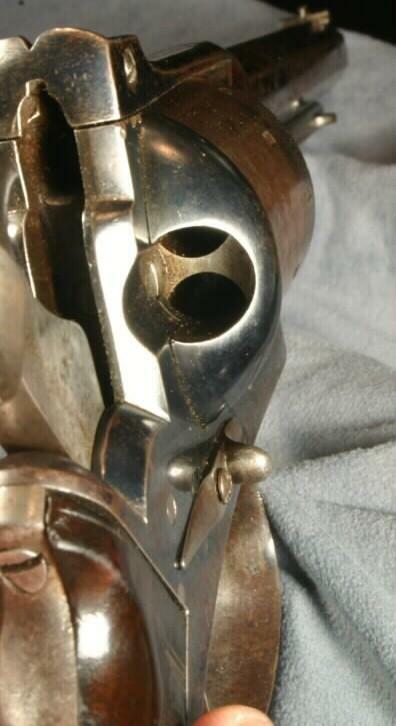 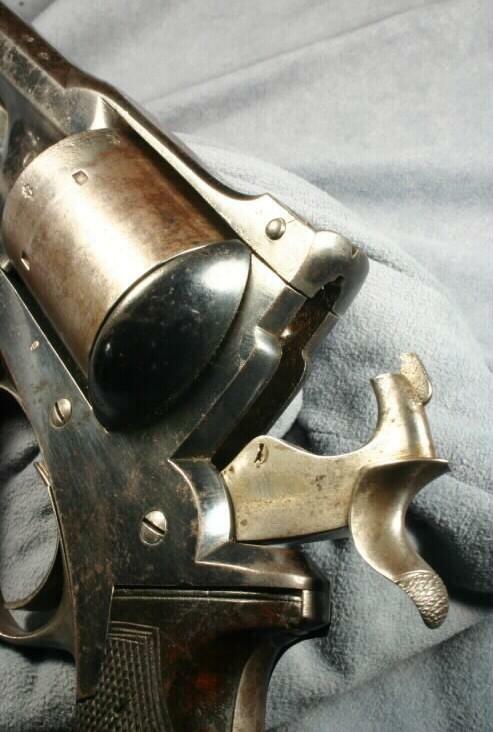 Many early British revolvers have a modified loading lever, reconfigured to serve as a cartridge ejector, but the lever on this gun however, would be of no use for cartridge operations. 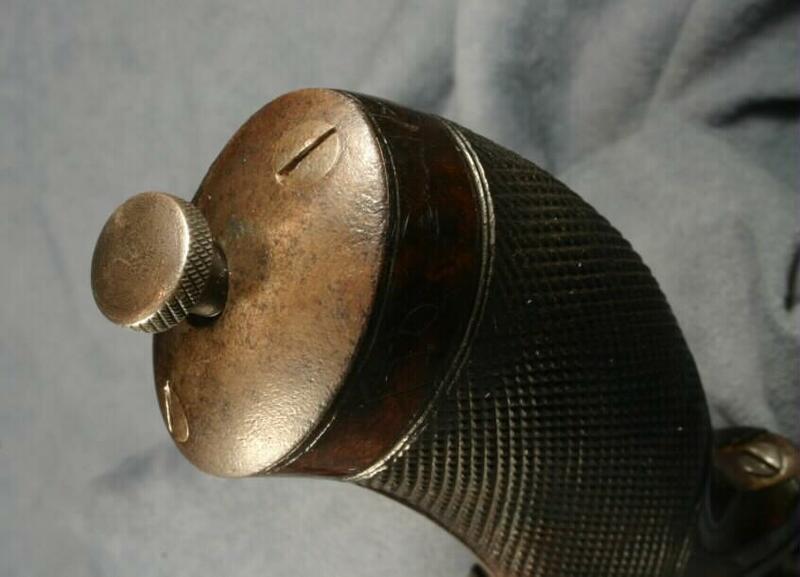 Instead, the knob at the base of the grip is the tip of a rod which can be unscrewed and used as a tool for cartridge ejection. 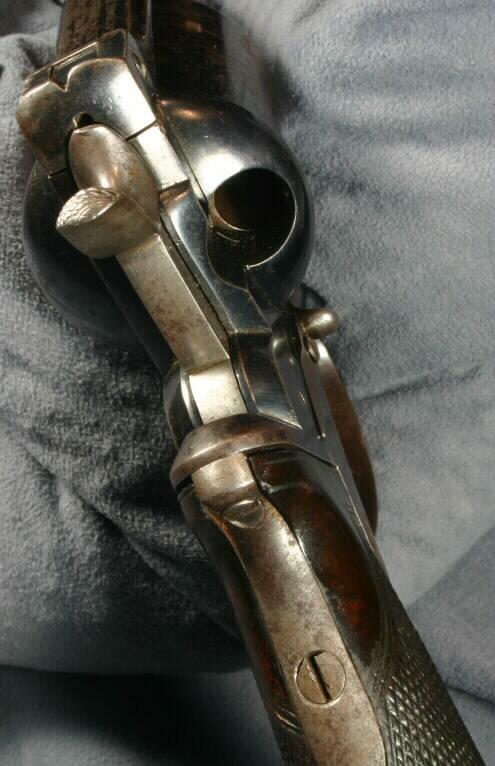 Less than 200 of these cartridge conversions were made, possibly to utilize existing stocks of percussion frames.